Thailand is famous for its travel and holiday attractions, but only a few people know that it’s also the only place in the world that has an elephant hospital. 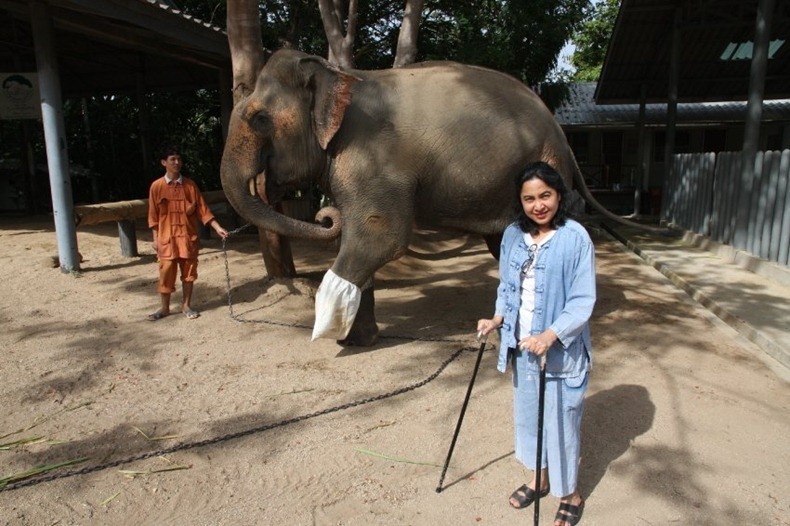 Motala (age 50) lost her foot after stepping on a land mine many years back. 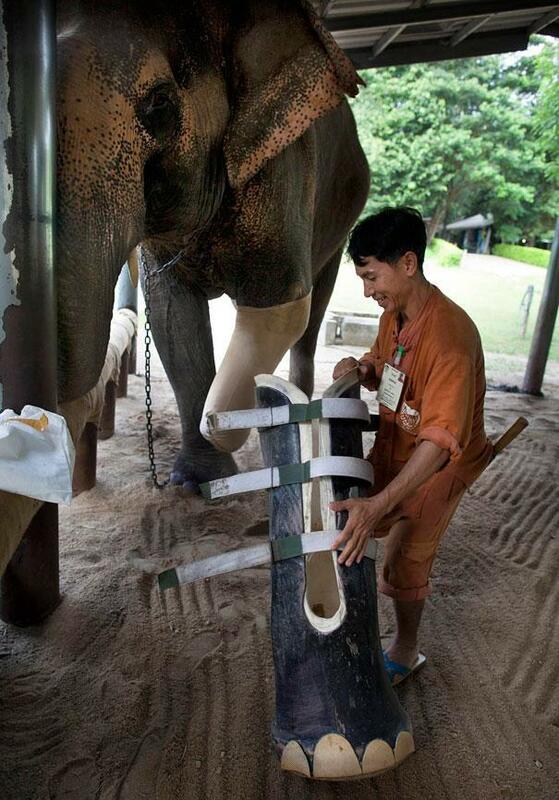 She is currently on her third prosthetic leg, as they need to be changed according to the weight of the elephant. In 1993, Soraida Salwala opened the World’s First Asian Elephant Hospital. Located in the Mae Yao National Reserve of Lampang, Friends of the Asian Elephant (FAE) is a 200-acre facility that includes elephant infirmaries, an operating area and a nursery for baby elephants. FAE’s Elephant Hospital is a non-government organisation funded through donations. They provide free care to the elephants at the hospital and provide accommodation for their mahouts (keepers) during the elephant’s stay. 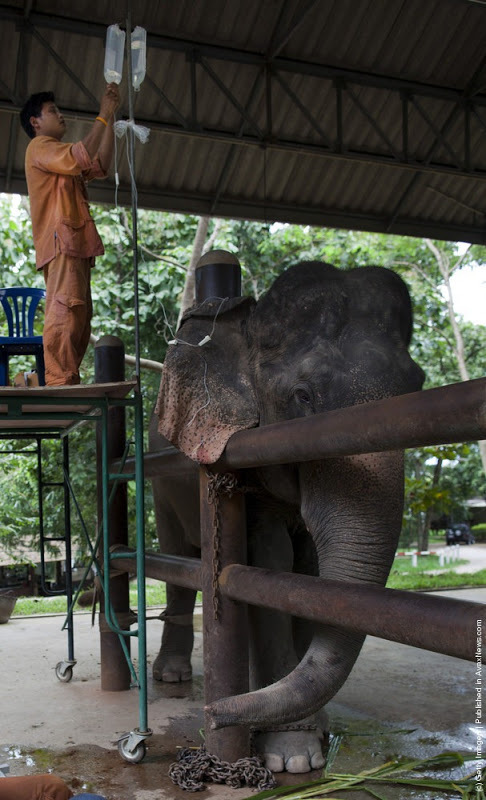 Daw Boon gets his intravenous fluids adjusted by a mahout to help treathis stomach virus. When Soraida was a young girl, she and her father came across an elephant that had been hit by a car. She wanted to take “Uncle Elephant” to the hospital, but when her father informed her that there was no hospital for elephants, she was heartbroken. In 1993, Soraida pursued a lifelong dream of hers to create a hospital for elephants. The Friends of the Asian Elephant Hospital in Lampang is the first of its kind in the world. Boon Mee (age 11) suffers from a severe wound on his foot from steppingon a land mine near the Burma border. 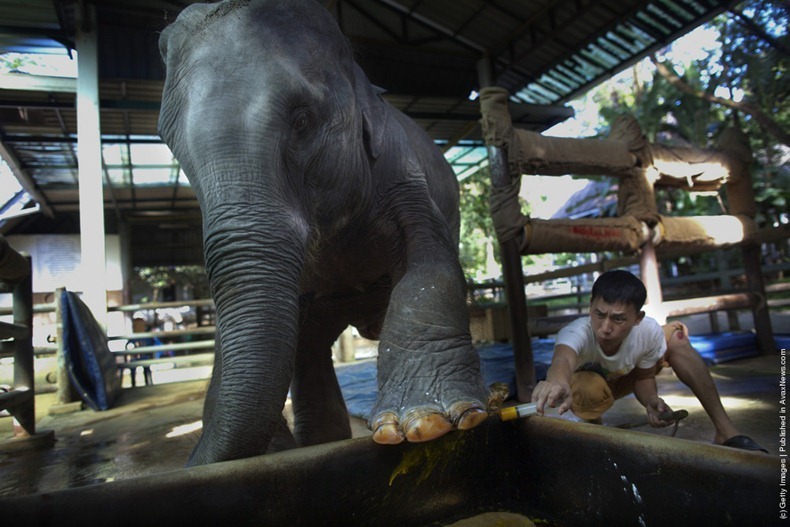 A mahout tries to disinfect his  wounded foot with some iodine. To date, Soraida and her staff have treated nearly 4,000 Asian Elephants for everything from illnesses, knife wounds, gunshot wounds, car accidents, logging accidents and land mines. Since it opened, FAE has treated 15 elephant landmine victims. In 2008, Baby Mosha received the world’s first elephant prosthetic. Motala followed in 2009. Soraida Salwala, founder of the first elephant hospital in the world.